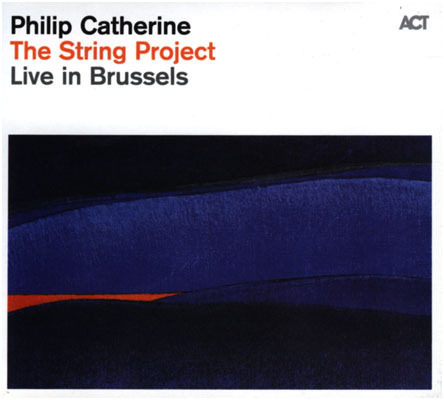 Les compositions les plus connues de Catherine ont fait l'objet, pour 'The String Project', d'un arrangement pour grand ensemble d'instruments à cordes. L'Orchestre Royal de Chambre de Wallonie, sous la direction de Frank Braley, a joué la musique en live avec le quintette habituel de Philip Catherine (Nicola Andrioli au piano, Nicolas Fiszman à la guitare acoustique et la basse électrique, Philippe Aerts à la contrebasse et Hans Van Oosterhout à la batterie). La musique a été jouée en première à Flagey en janvier 2015. Les enregistrements live de ce concert mémorable ont été édités sur disque en septembre 2015 sur le prestigieux label de jazz ACT Music. L'ECHO est l'un des plus importants et les plus prestigieux prix de musique dans le monde. La Phono-Akademie allemande, l'Institut culturel de l'Association allemande de l'industrie musicale, honore le ECHO chaque année depuis 1992, les réalisations les plus réussies et les meilleures d'artistes nationaux et internationaux. With Philip Catherine, a silent hero of European jazz receives the ECHO as best international guitarrist. 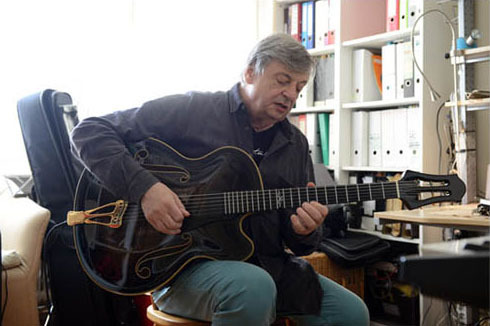 His album "The String Project" is a tourching resumee of a more then 50 years long and ongoing career. And a mirror of Catherines personality: tender, witty, some times melancholic, sometimes with a big smile. And always full of a wise easyness. The String Project - Live in Brussels. Having been asked by Flagey to prepare a special concert for their new "Brussels Jazz Festival" in January 2015, Philip finally decided it was the right time to try a new project, a selection of my compositions in arrangements with string orchestra. The enthusiasm of Nicolas Fiszman has helped in taking this direction, which was not an easy decision as both groove and freedom of improvisation are essential for him, something not so evident to achieve when combining jazz artists with classical strings. 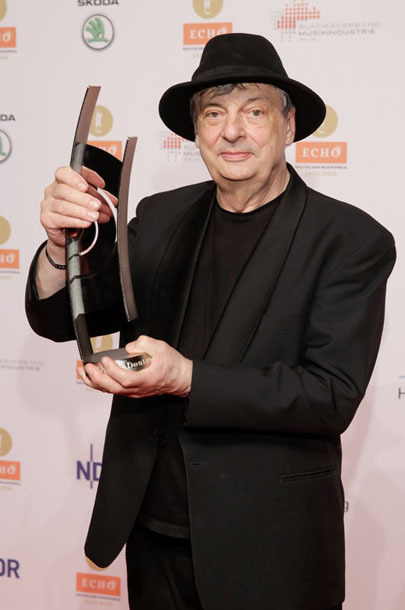 The première took place on 13th January 2015 at Flagey in Brussels. Everyone involved - Philip's musicians, the orchestra and their great conductor, not to forget the sound engeneers -, contributed to make it a magical concert and received several standing ovations by the full house. The evening was filmed by national TV VRT-Canvas destined to be used for a live TV program, but listening to the audio recording afterwards it resulted to be so good, that it was decided that a mix of the two hours concert could be brought out on CD. 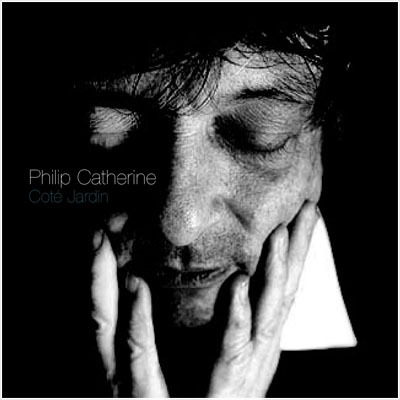 Philip Catherine: a sound, Philip Catherine: a man with a stunning originality, a guitarist embracing tradition, but so much finding his own road coming from that tradition. Philip the composer, Philip the virtuoso, Philip the artist searching for more, for something fresh, a new angle. Since the seventies Philip has been carving out his own musical path. Playing groundbreaking original music with groups like Pork Pie and with duos with Larry Coryell; but also creating profound connections with the jazz tradition with his much acclaimed work with Chet Baker, and duos with Niels Henning Ørsted Pedersen. I have had the great fortune to work extensively with Philip since 1985, on tour and in the recording studio, recording some 8 CDs with him. It was during those years I started deeply appreciating the searching nature of this man. 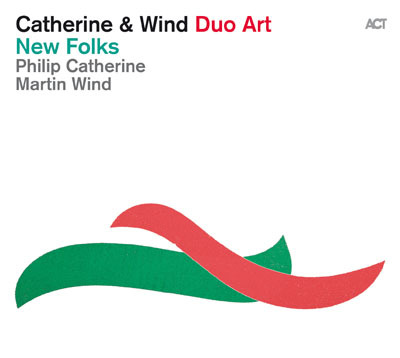 We have remained friends ever since, and what a pleasure it is [to] now, even though I live 10,000 kilometers away, in the Cape of Good Hope, to still be part of Philip's musical world and to be able to work together on recording projects. The origin of the CD you hold in your hand goes back into Philip's musical past. Somehow Philip's strongest expression might be in his original compositions where he tries to paint musical pictures that each have a strong musical identity. His way of shaping the music in this way can be clearly traced back to his wonderful recording "Transparence" (1986), and one can also observe examples on different albums afterwards. When Philip and I were discussing possibilities for a new recording he sent me a live recording of a concert he played in Theatre 140 in Brussels quite some years ago. Here again the attractive combination of the Philip's lyrical guitar playing, embedded in layers laid down by piano and keyboards and surrounded by lively drums and bass was very evident. We decided to go this route and gathered repertoire and ideas. Since a short while Philip created a new band with two young and upcoming musicians on the Belgian scene: Nicola Andrioli (1977), an Italian pianist living in Brussels, is more than a gifted and excellent instrumentalist: he is a strong composer and his sense of always knowing to play what is right for the situation is breathtaking. Drummer, Antoine Pierre (1992!) somehow embraces it all: proficient in the modern idiom, yet with the ability to create a loose, deep and flexible swing when needed - a trait that is so very rare with drummers nowadays. Bassist, Philippe Aerts (1964) has been on Philip Catherine's side for almost 20 years and knows like no other how to cement the energy of the other band members into cohesiveness. His role is perhaps subdued, yet so essential in the creation of the music as a whole. The secret ingredient of this record for me is the presence of keyboardist keyboard player Philippe Decock. His tasteful and often unusual use of sounds give the music a depth in sound and texture. A special word has to be dedicated to Philip's daughter Isabelle. Isabelle came into the studio to sing one of her father's classic tunes; originally named "Coté Jardin", but now called "Coté Cour" with gorgeous lyrics by Jacques Duvall. Her intimate interpretation draws one in. There is a graceful beauty about the way Isabelle delivers the words and the melody, unassuming and delicate, yet strong in its expression. I think Philip was able to create a wide scope of moods, colors, grooves and emotions on this recording, that surely stands like a wonderful landmark around the period of his 70th birthday. It was a joy to receive him in our home in South Africa for the mix. I am happy and proud that we were able to give you a deep insight in the musical world of the young man from Brussels: Philip Catherine.